One of the very first plants for my oils and ointments is the poplar tree (Populus nigra, P. alba). On a sunny day, as soon as the sun has dried hedges and meadows, I start picking his buds carefully. After the last storm, farmers have to cut broken poplar branches, so I found fresh cut branches, allover with brown and sticky buds. They smell very similar to propolis, the resin produced by bees. 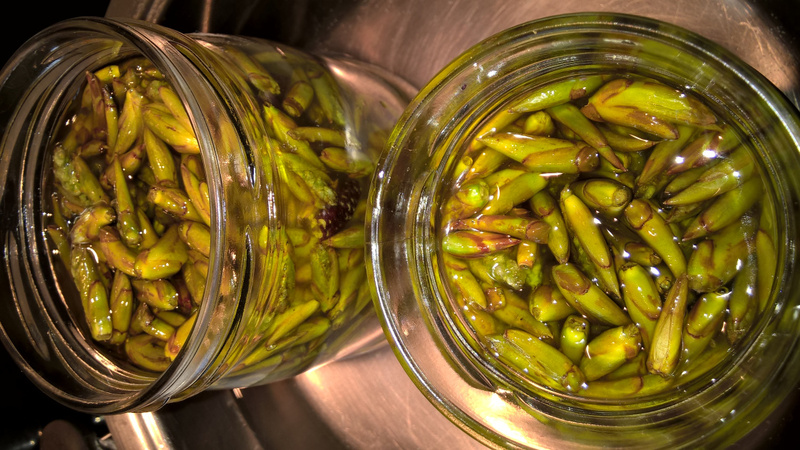 Though, poplar buds contain precious, vegetal substances which help to disinfect and heal wounds, herpes and bruises, without taking away anything from the bee-hive. Please remind not to collect too many buds from one branch and change plant often. Buds become leaves and flowers, so we should be careful in our crops!